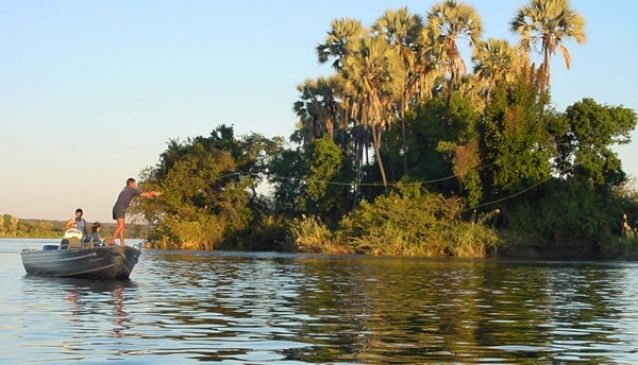 Angle Zambia provides fishing excursions on the Zambezi River above Victoria Falls. For those with a hunger for adventure, there is no better way to get 'hooked on the Zambezi'. Angle Zambia offer both half and full day fishing trips on the Zambezi River for both fly and conventional anglers. Transfers, boats, professional guides, all fishing equipment and tackle, refreshments and lunch on a full day trip are included. The company has adopted a catch and release policy for all fish caught so it is recommended that you bring your camera to show you did actualy land the fish, especially if it is a spectacular Tiger fish! Angle Zambia have the magnificent Barotse Tiger Camp, based in Western Zambia, if you are looking for the ultimate Tiger fishing safari!